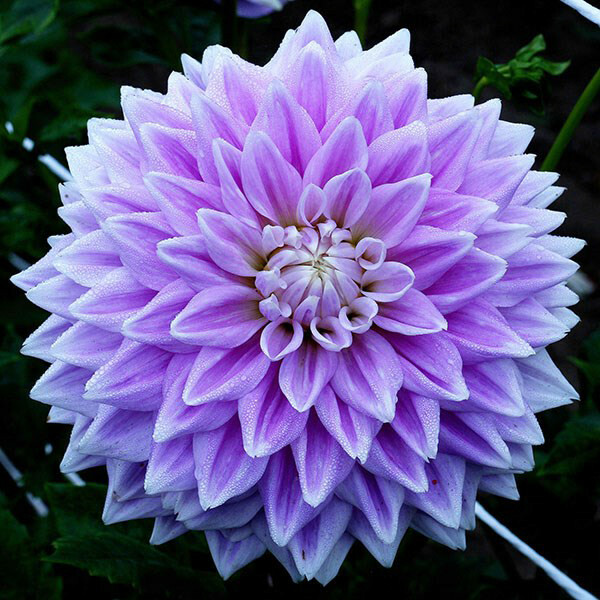 We are dahlia growers and suppliers of dahlia tubers to Canadian gardeners. We are located in Northumberland County just off the Oak Ridges Moraine in central Ontario, Canada. The remarkable variety and size of Dahlias make them ideal for any sunny, well-drained location. Dahlia flowers come in many forms and pretty much every colour but blue. Dahlia plants range in size from 12 inches to 6 feet. It is hard to have only a few. If you are interested in attracting and helping pollinators, look in the Open Face section. Oakridge Dahlias are the result of our obsession with these gorgeous plants. We grow what we love and make our surplus available to Canadian gardeners. Our dahlia tubers are guaranteed to be true to name and to have at least one live eye. For your convenience you can select your dahlia choices by adding them to your cart from the pages in the sidebar to the left. Once you are done, use your total to find and add the handling/shipping fee from the chart at the bottom of the order page. There is no HST at this time. Submit your completed order form to us. We will verify the availability of your choices and contact you by email to confirm your order. We accept cheques and e-transfer payments. Tubers will be reserved for a reasonable time once your order is received to allow time for payment to be completed. We usually ship in mid to late May for the tubers to be received in time for planting. If you need your tubers earlier to start in pots, please let us know. Directly below are links to download our catalogue/inventory list so that you may print a hard copy. As we are usually out in the garden or down in the dahlia storage room, email ( info@oakridgedahlias.ca) is the most successful way to contact us. We check the email frequently during the day and answer promptly. You may also reach us by phone or regular mail. Visit the Contact Us page here. We do not maintain a show garden or sell directly from our property, but if you wish to visit the dahlias in the field please contact us.